MOD-USB3G and other similar devices have high current consumption peaks during initialization (up to 2A) and some USB hosts have hard time providing such surge currents. 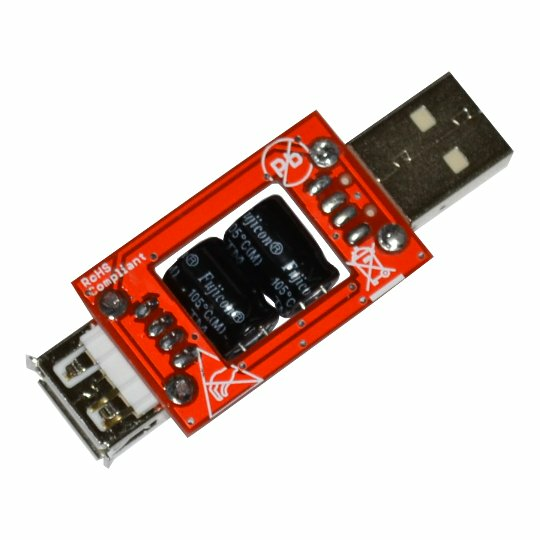 We designed USB-CAP (contains 2 x 1000uF capacitors) with low ESR to remove these power supply glitches. 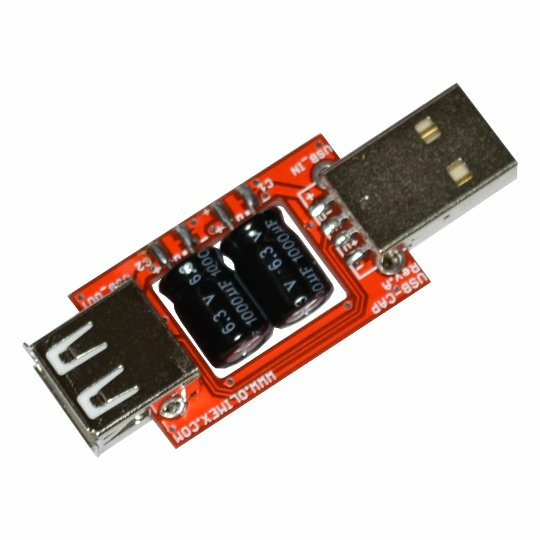 USB-CAP provides USB supply filtering to enable the operation of current-hungry devices with weak USB hosts.